IAU Scholarship exam results will be announced on 20 May 2019. Please enter your Application Code to see your exam results. 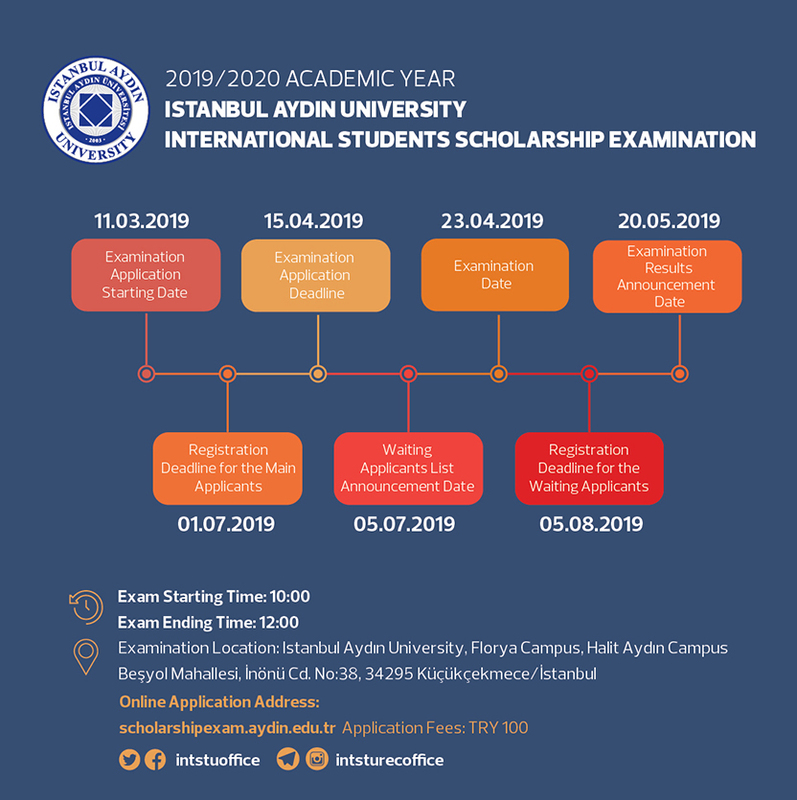 Istanbul Aydin University is offering 2019 Scholarship Exam for all the International students within and outside Turkey. Purpose of this exam is to provide scholarship to all the bright (Undergraduate) students who are ambitious and are aiming professional career ahead. IAU welcomes all the International students to come and join this scholarship exam and lets move forward TOWARDS A BRIGHT FUTURE. Please click the link below to get more information about scholarship exam and scholarship rates.